Classic cars look very cool. But, classic cars lack a lot of the refinement of modern vehicles – poor gas mileage, uncomfortable, zero handling, etc.. 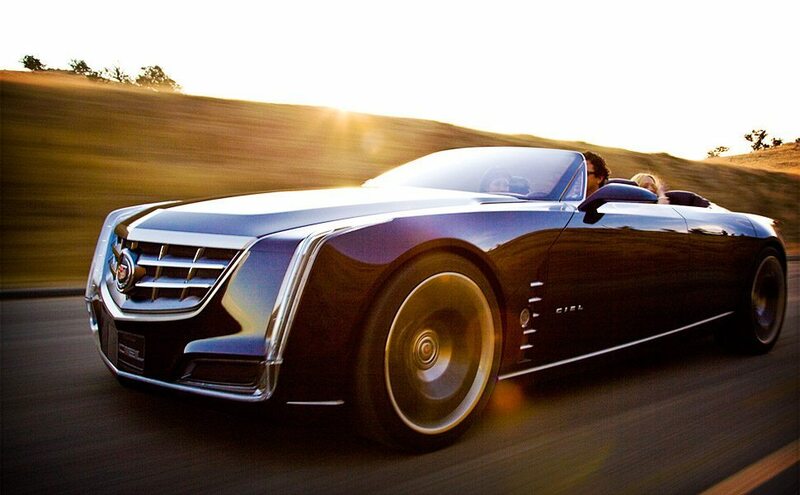 The designers at Cadillac get it and they’ve created the Cadillac Ciel Concept ($TBA) to prove it. The elongated drop-top boasts a hybrid system pairing a lithium-ion battery with a twin-turbocharged, 3.6L V6, four full-sized doors with suicides in the rear, a polished aluminum windshield frame, an interior of body-colored panels, wood, and leather, 22-inch rims featuring brushed nickel plating overt milled aluminum, carbon ceramic brake rotors, LED lighting elements, a power-assisted transmission shifter, heating and cooling features in all the seats. Classic luxury with modern appointments. Looks great!